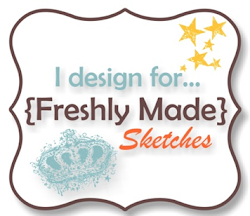 This week Linda Callahan is our sketch hostess at Freshly Made Sketches. Linda is not only very talented, she is so lovely and oh so very funny. 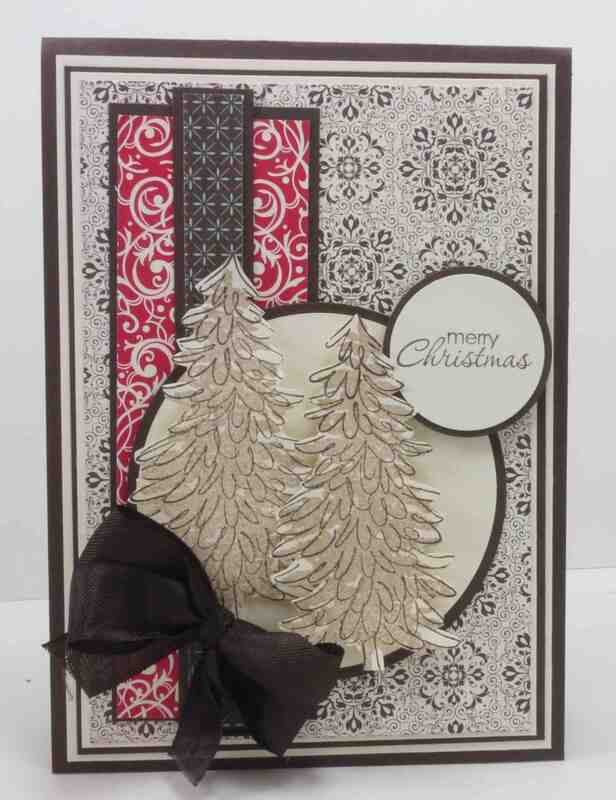 You should head over to Linda’s blog and check out her gorgeous creations. 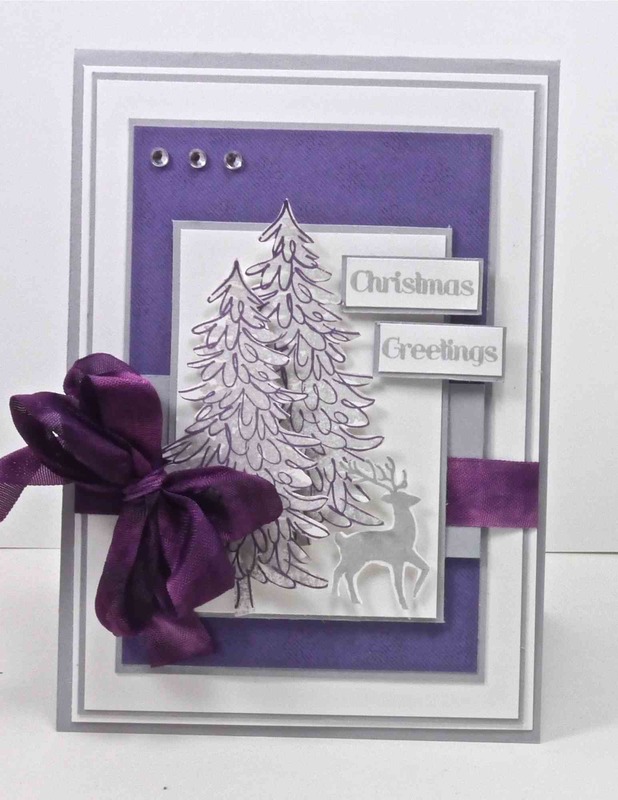 I probably took this sketch literally as the inspiration for my card came from the Christmas bauble. 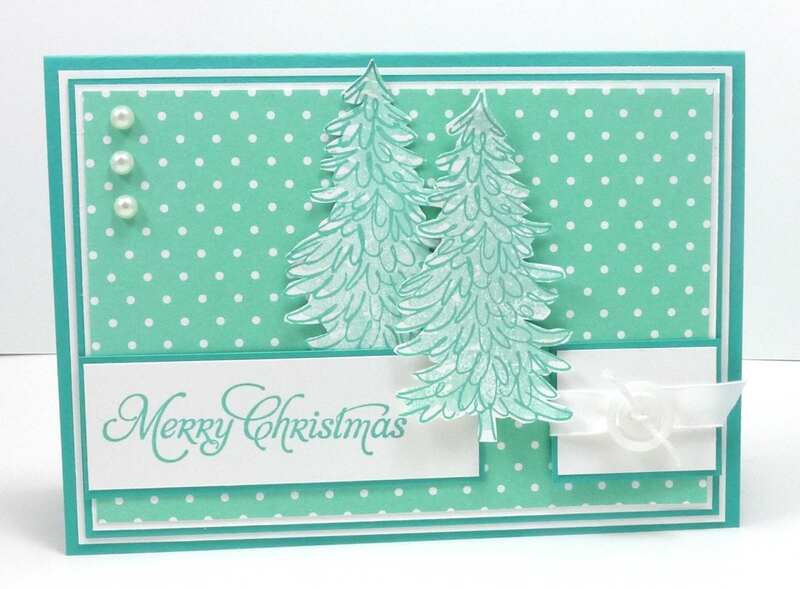 I’ve decided to go with a Christmas card and instead of the bauble, I’ve used Christmas trees from a retired Stampin’ Up! set called Evergreen. 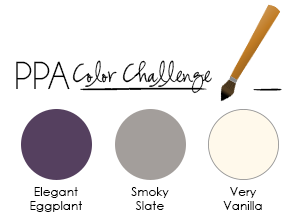 The colours I’ve used are Coastal Cabana and Bermuda Bay. 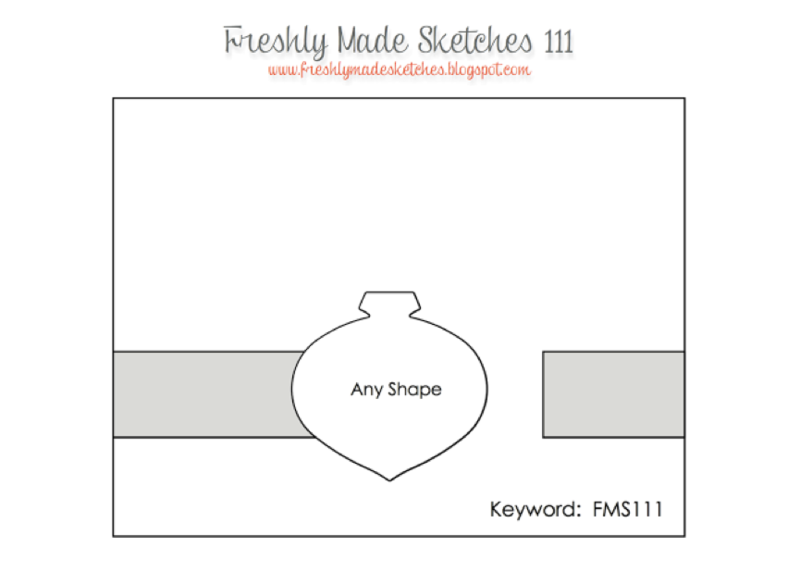 Head over to Freshly Made Sketches and join us with this weeks challenge. It’s Monday, so that means it’s Merry Monday time again! 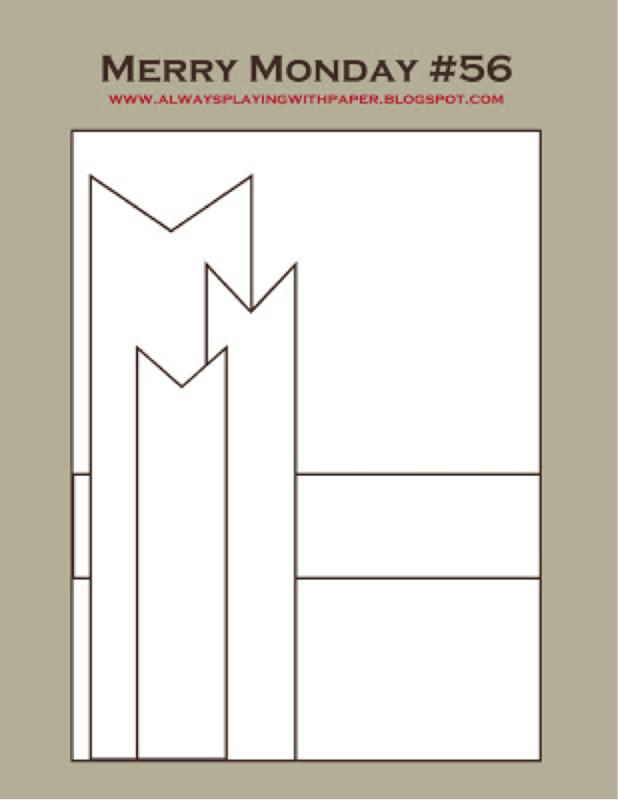 Lesley has created this interesting sketch for us this week. 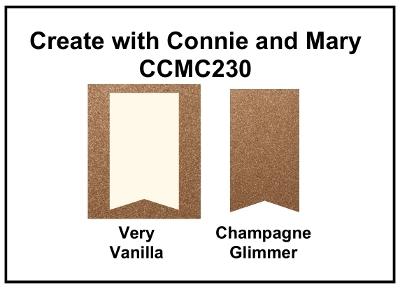 I love how all the Merry Makers have created different cards using this sketch. 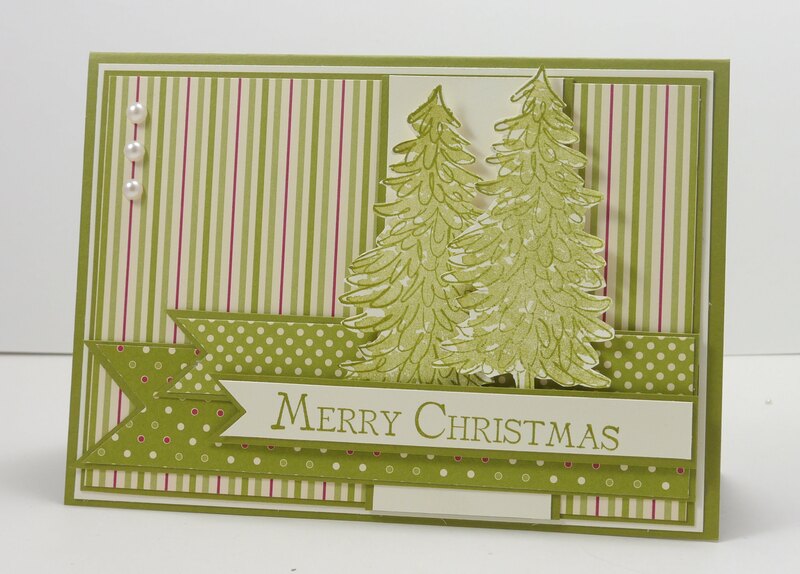 I’ve used some retired Stampin’ Up! 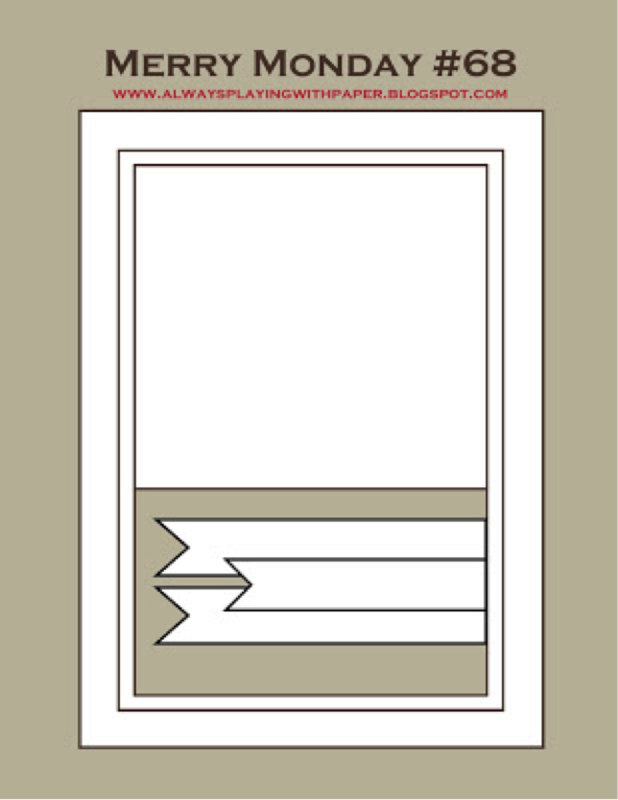 designer series paper – Holly Jolly DSP – for my card. I still have quite a bit lying around and it feels really good to use it up. 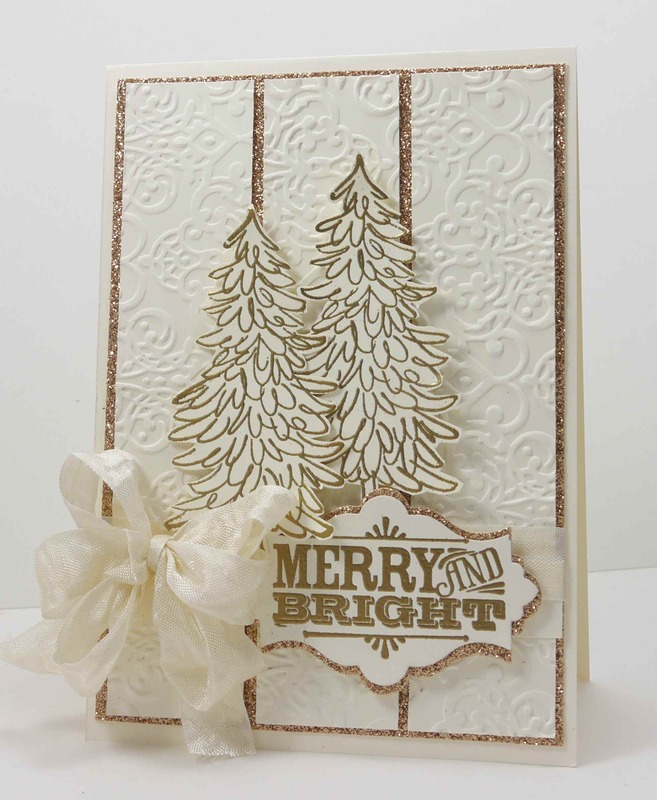 The Evergreen trees are stamped in Old Olive and my sentiment is from a retired Stampin’ Up set called Many Merry Messages. I must be going through a green phase because I’ve created yet again, another mostly green card. 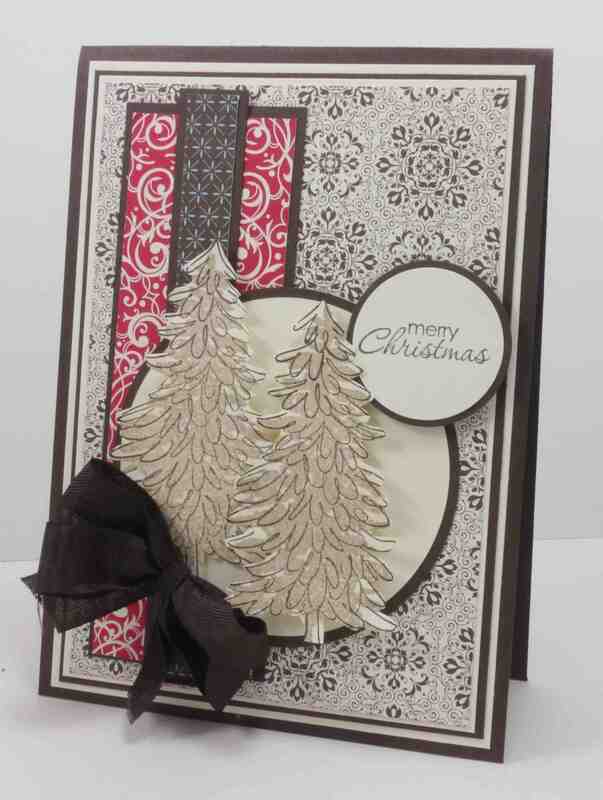 We’d love for you to join us this week – head over to Lesley’s blog and see what the Merry Makers have created. Over at Freshly Made Sketches, Tui has come up with this fabulous sketch. 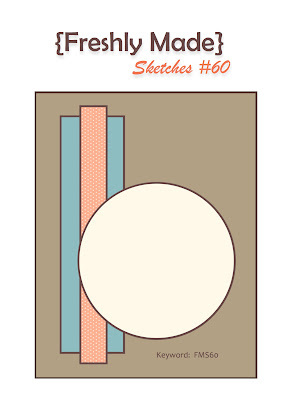 I’m so into circles as the focal point on my cards right now, so I knew this sketch was for me. 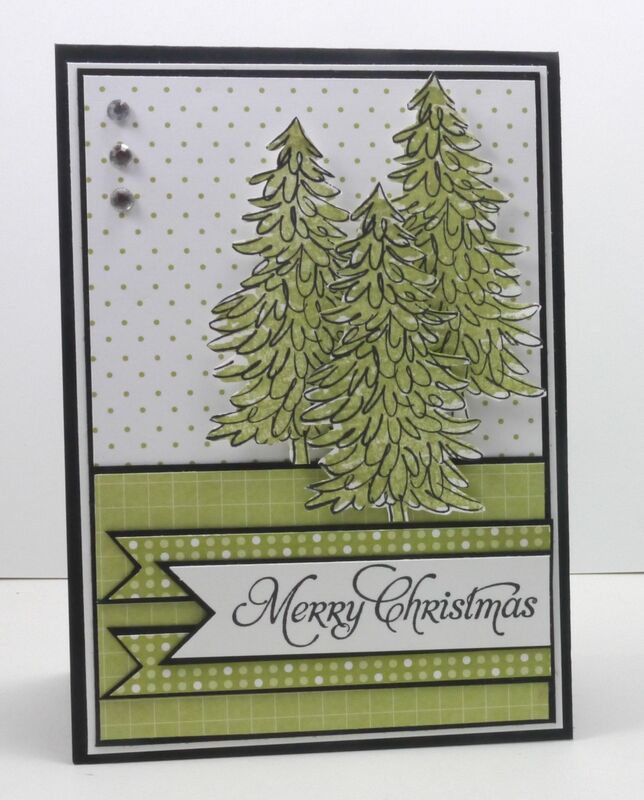 I initially had one tree on my card, but I felt it was a little plain so I stamped a second one – now I don’t know if I’ve gone overboard :).